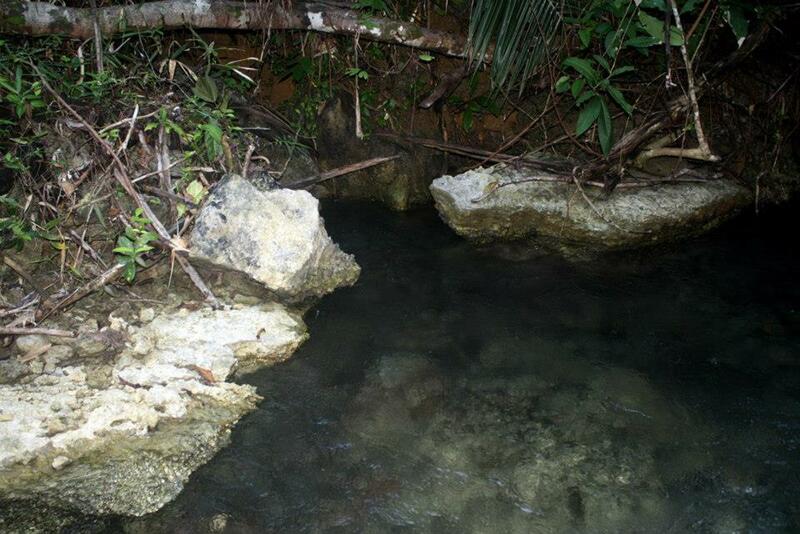 One of the more popular tourist spots in Mindanao this summer is Sohoton Cove. This hidden lagoon of limestone rocks is the well-advertised attraction of Bucas Grande island in the province of Surigao del Norte, Philippines. Its popularity is second only to nearby Siargao island. However, there is a place a few miles north of Sohoton that beckons a wandering tourist to make a turn into a strange alley. It is a place called Lake Tiktikan. I have been to Sohoton several times and most of the time I would be happy just ushering in first-time visitors. After bringing my family there, this time I chose to stay behind at the visitor’s cottage right outside the cove. 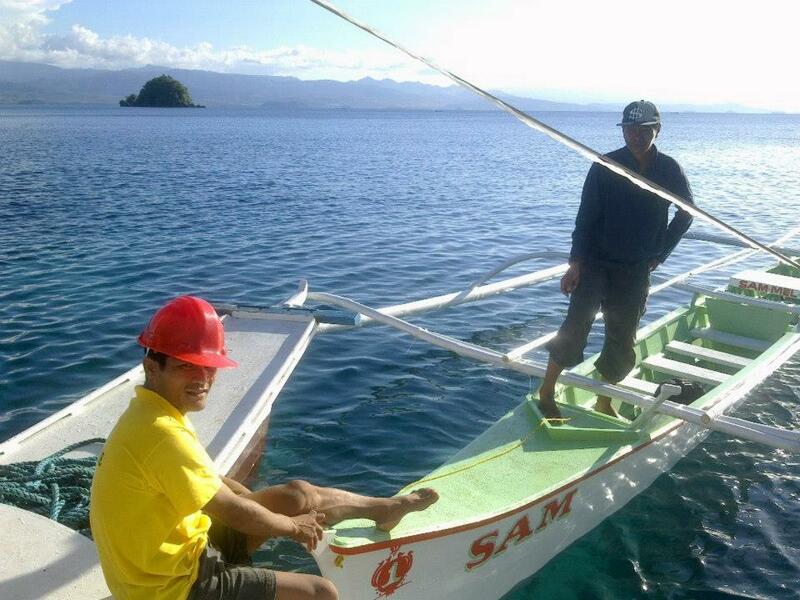 Larry Williams, a fellow scuba diver based in Surigao City who has visited Sohoton three times, made the same decision to beg off from the regular tour. The two of us decided, on a whim, to take a look at the less popular Lake Tiktikan. Hopping on a rental boat late in the afternoon we ventured north. In less than five minutes we were there. 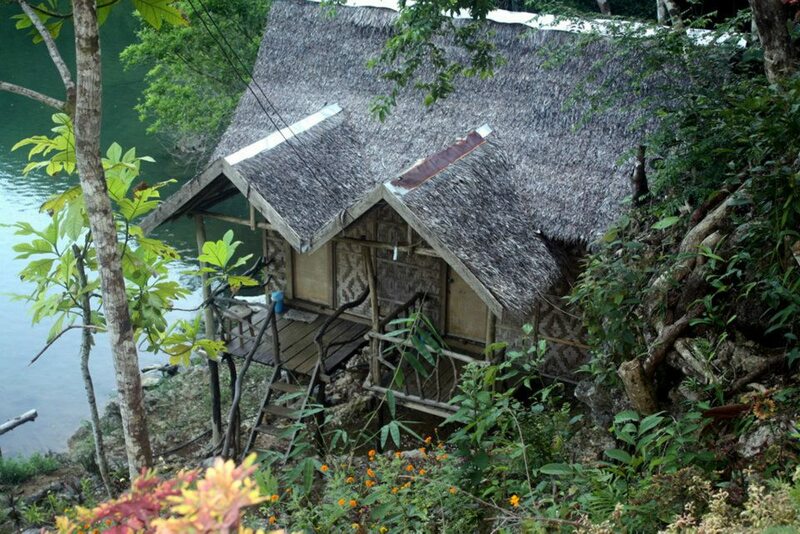 Though it looks like an abandoned, less fortunate cousin of Sohoton, the place was more poetically quaint. The trappings commonly found in a tourist area gone commercial are not there. What greets you at the seaside is a small house that doubles as a coffeehouse and a visitor’s center. After paying P10 per person as entrance fee, you get on the short trail to the lake…and the lake reveals itself beautifully. It is a relatively shallow and small lake situated a hundred meters into the karst landscape. Common to this area of the Philippines, its water rises with the high tide and recedes with the low tide. As I confirmed it today, it is connected to the sea through an underwater cave that tunnels deep into the ground before exiting to the outside lagoon. What makes the lake more attractive is the availability of cottage houses for overnight stay. They rent out a bed at only P300 per person. At night they would run the generator if there were enough people to offset the costs. 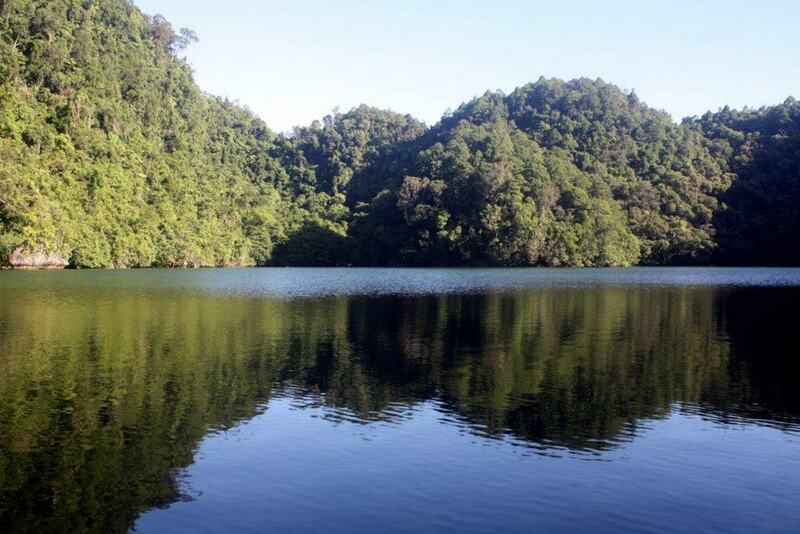 Remember to drop by Lake Tiktikan if you are done with Sohoton. I will definitely sip my next cup of coffee by the lake. 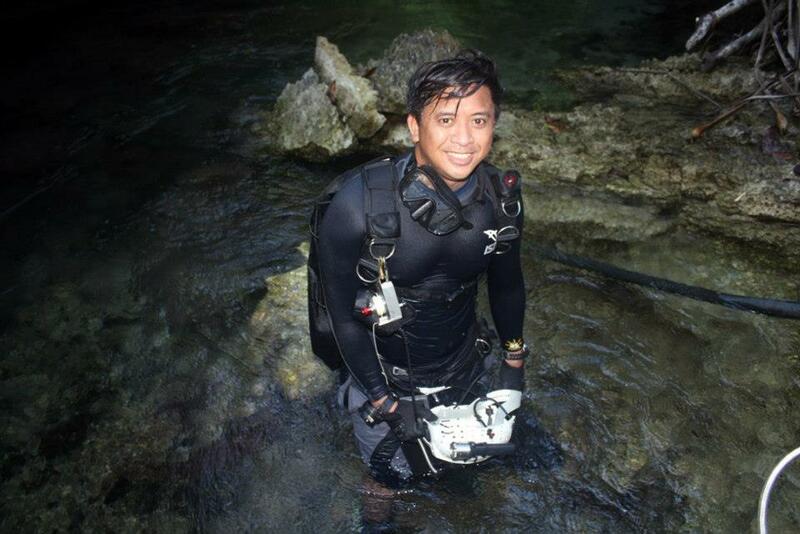 This trip was originally planned with Surigao Dive-Club president and fellow cave diving enthusiast Lyndon Cubillan who missed the trip. Thank you to caretaker Lorna Artigo, Ali Dizon and boatman Edgardo for accommodating us. You can contact Lorna at 09474807077, or the TAFIMCO office at 09475783811 or their manager Sheryl Curay at 09483856291. Lake Tiktikan’s GPS coordinates are 9°36’29.15″N, 125°54’45.69″E. The lake complex also has three dry caves. The lake’s name came from its resident fish, Tiktikan. 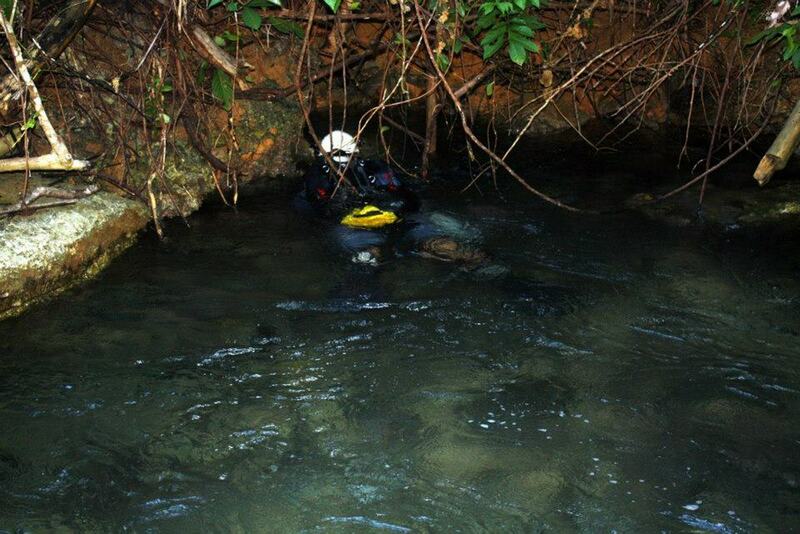 For cave divers, the underwater cave’s tight squeezes are perfect for sidemount and no-mount challenge dives.